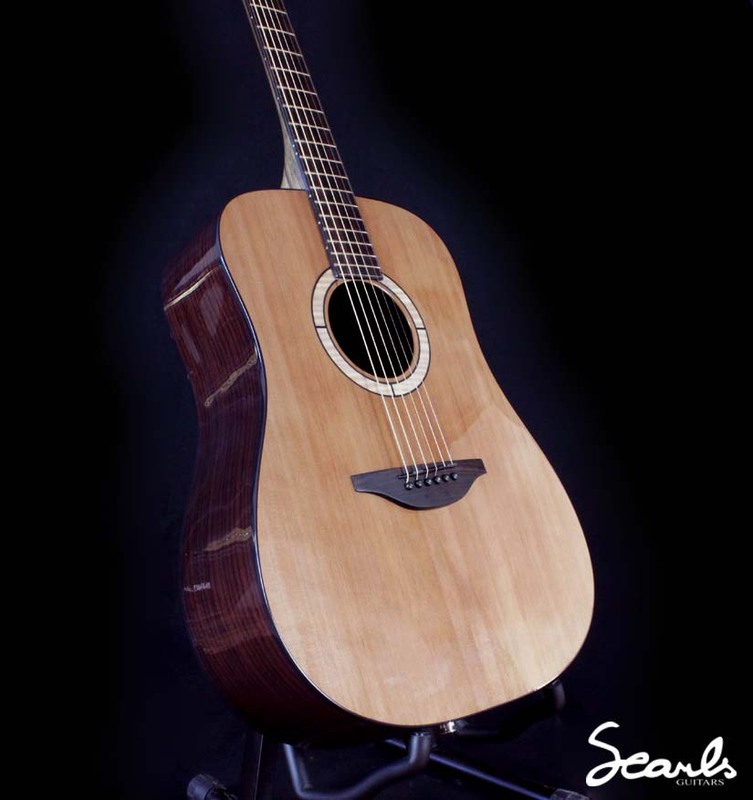 Our acoustic construction is mostly old style and performed the same way it has been by craftsman for decades. 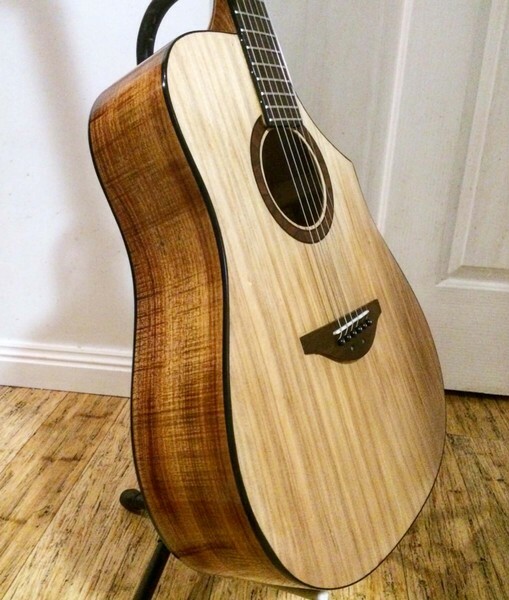 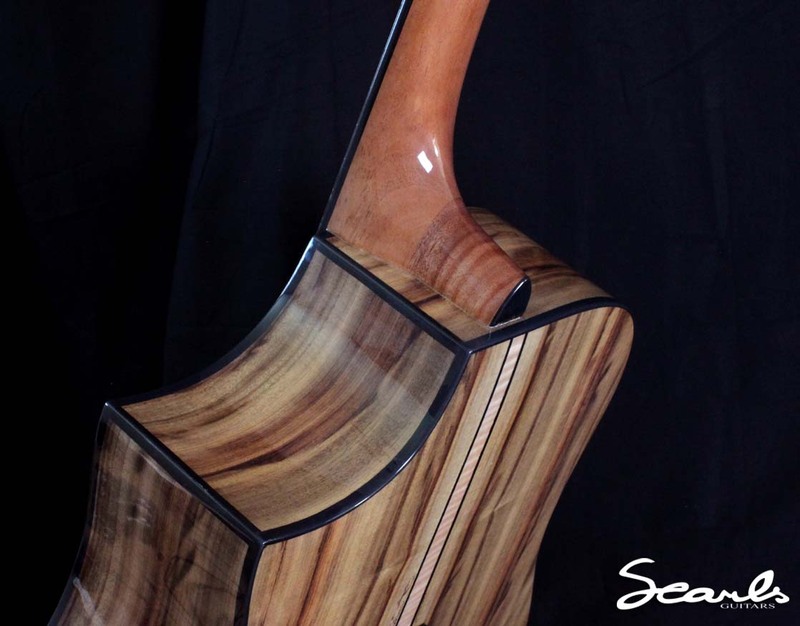 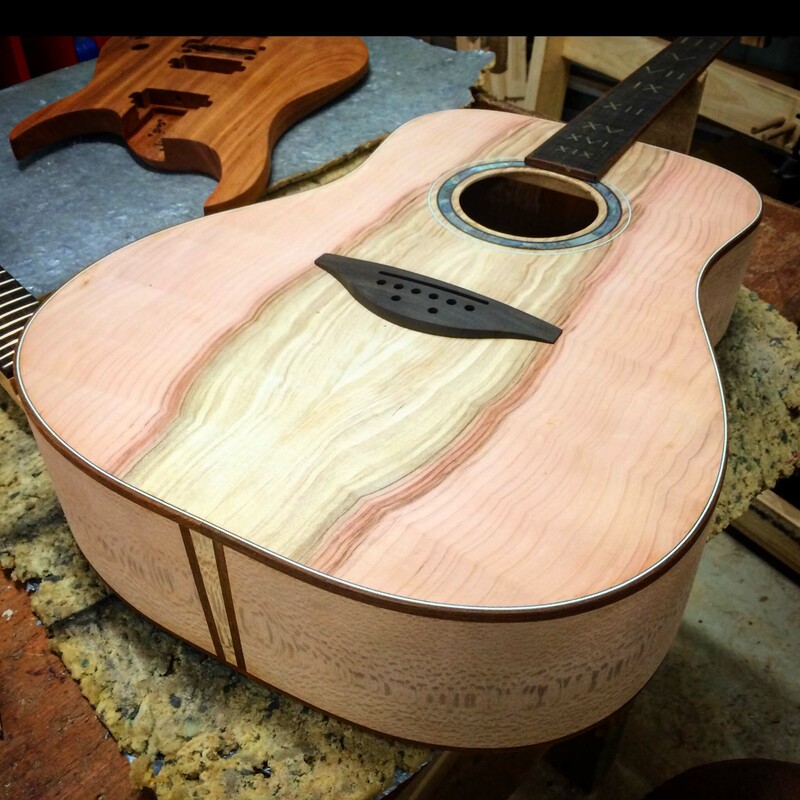 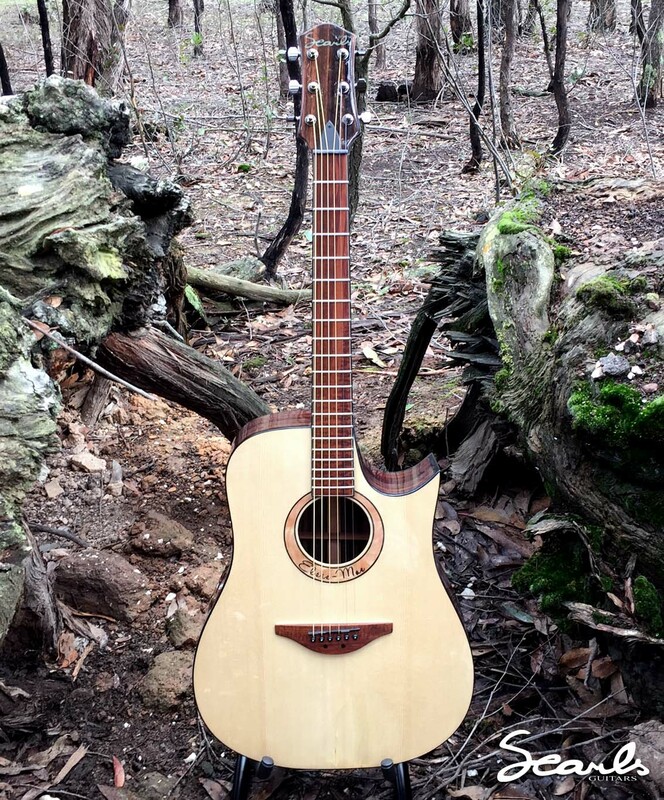 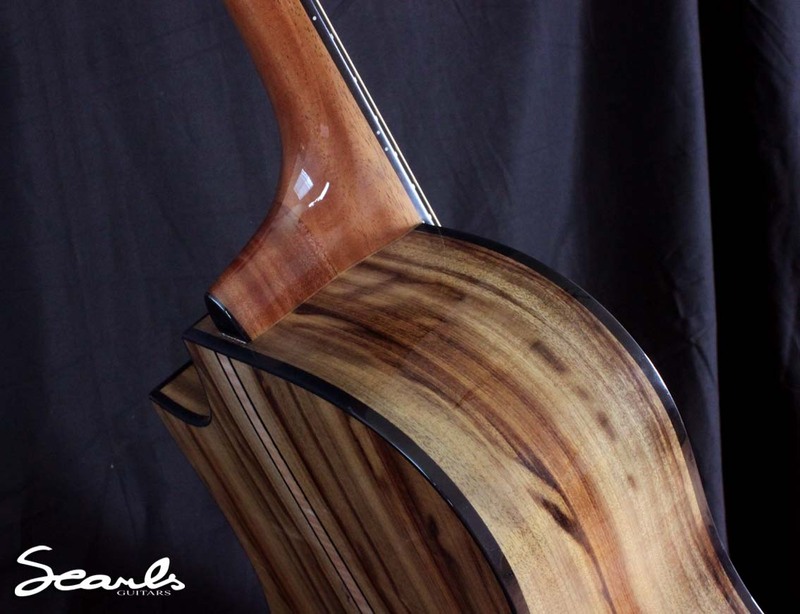 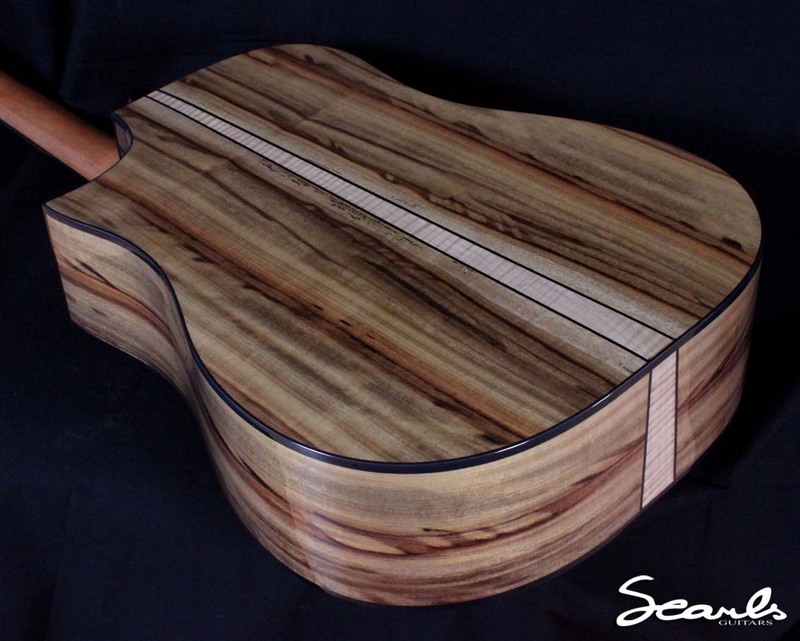 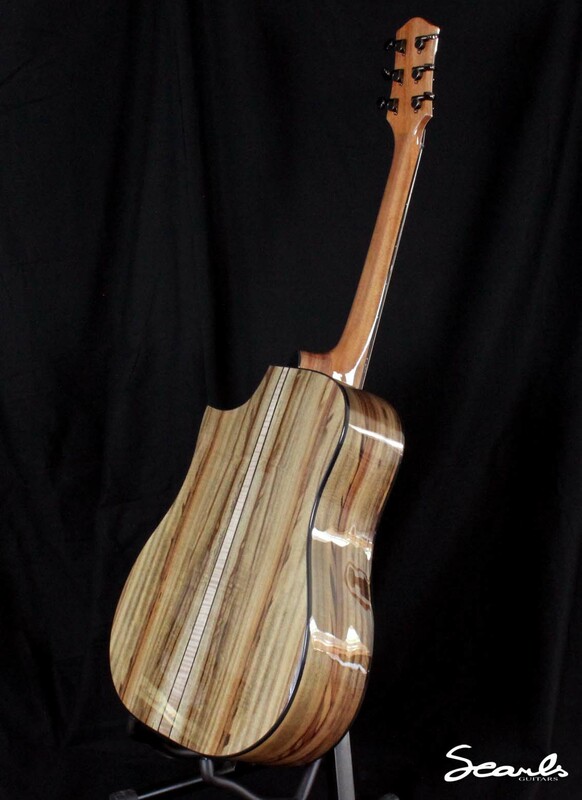 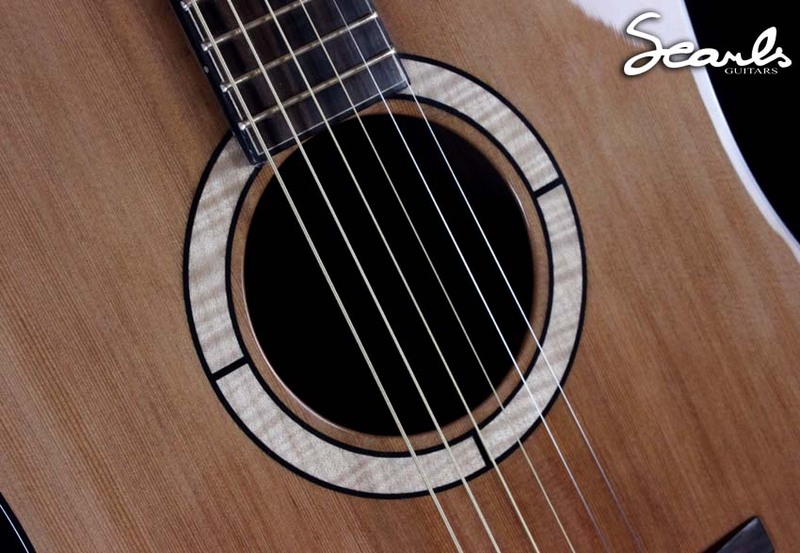 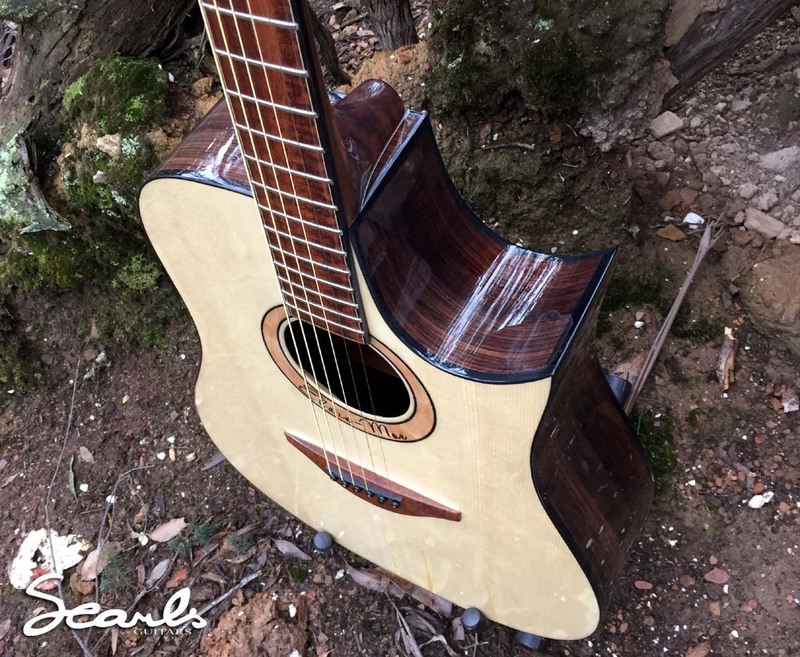 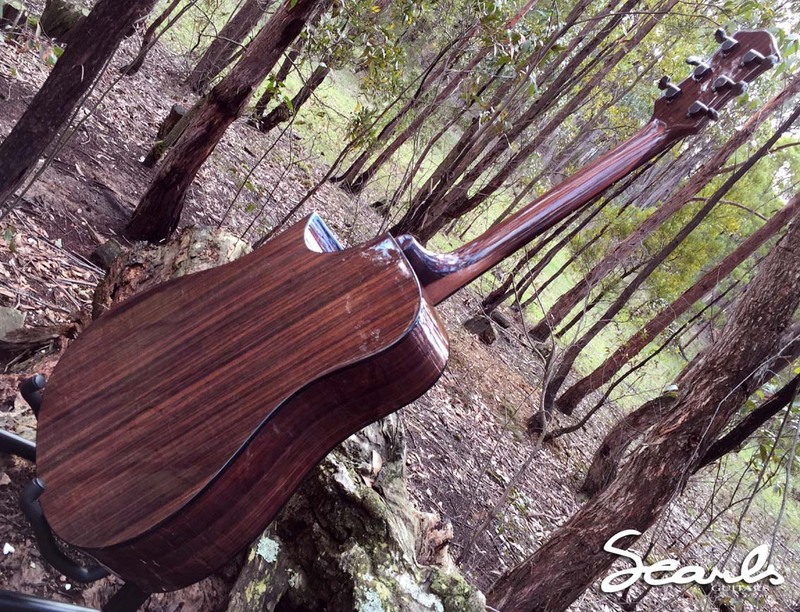 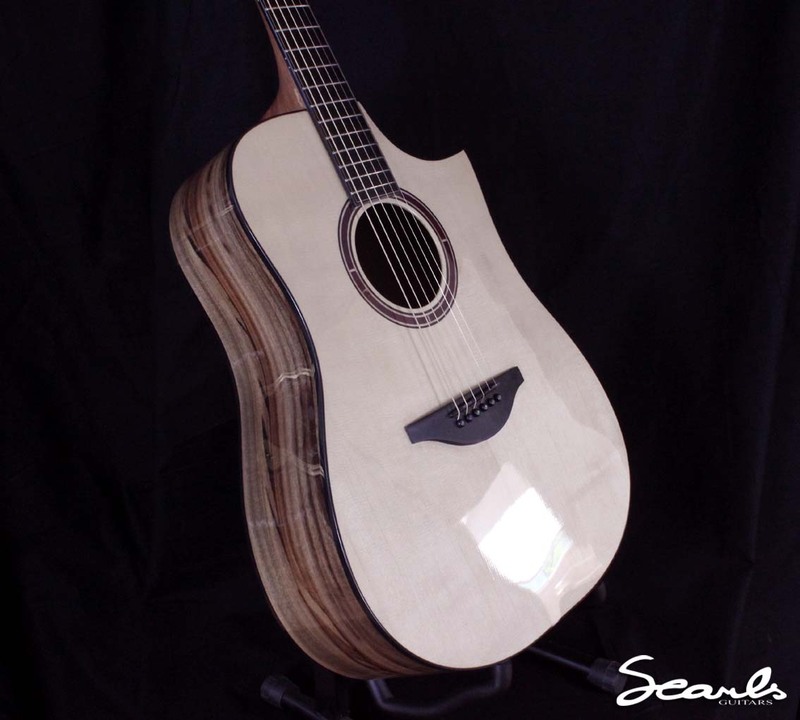 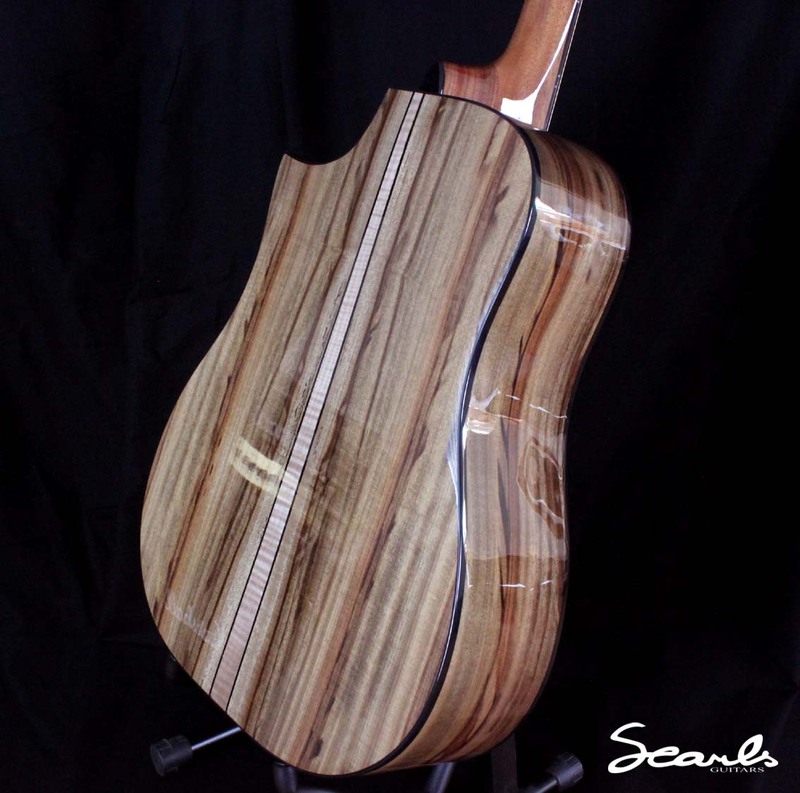 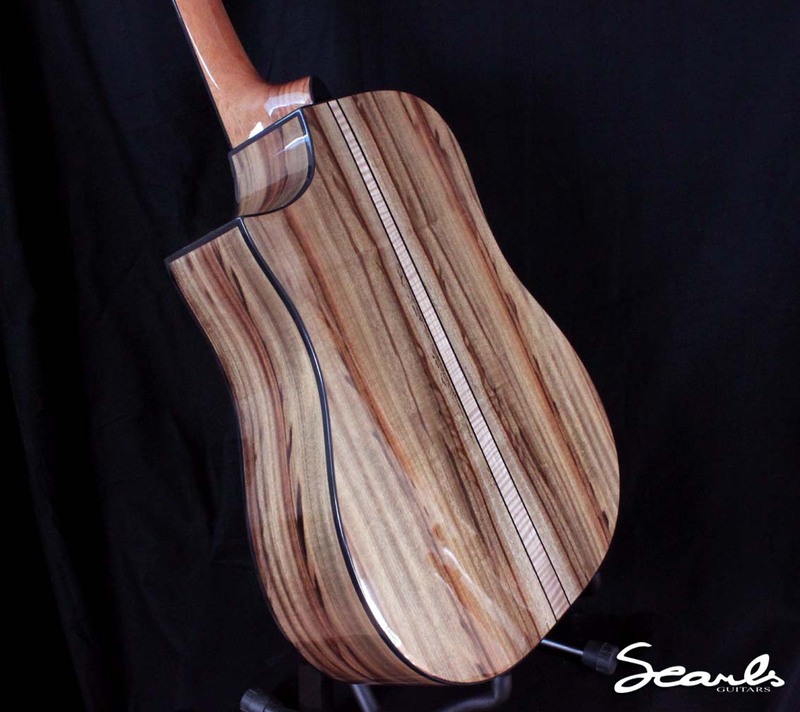 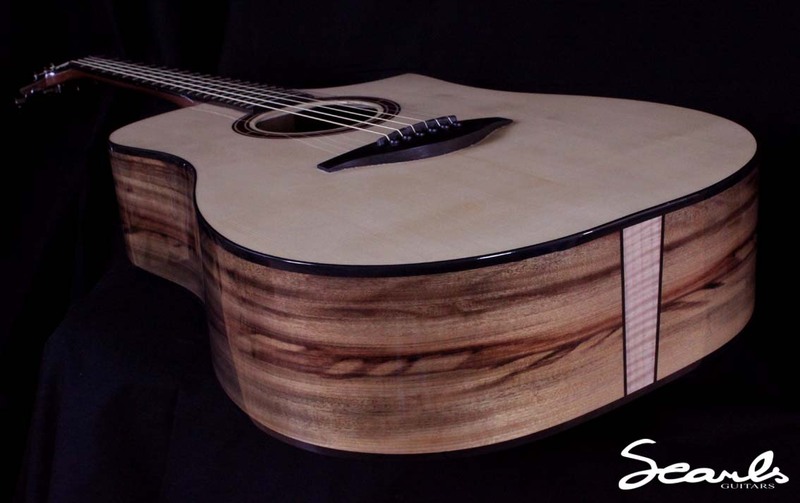 Necks are hand carved as is the bracing, a few new school methods are also used, eg: the truss rod slot and soundhole cutout are routed, however the bulk of the guitar is crafted using hand tools such as rasp, hammer and chisel and lots of sandpaper! 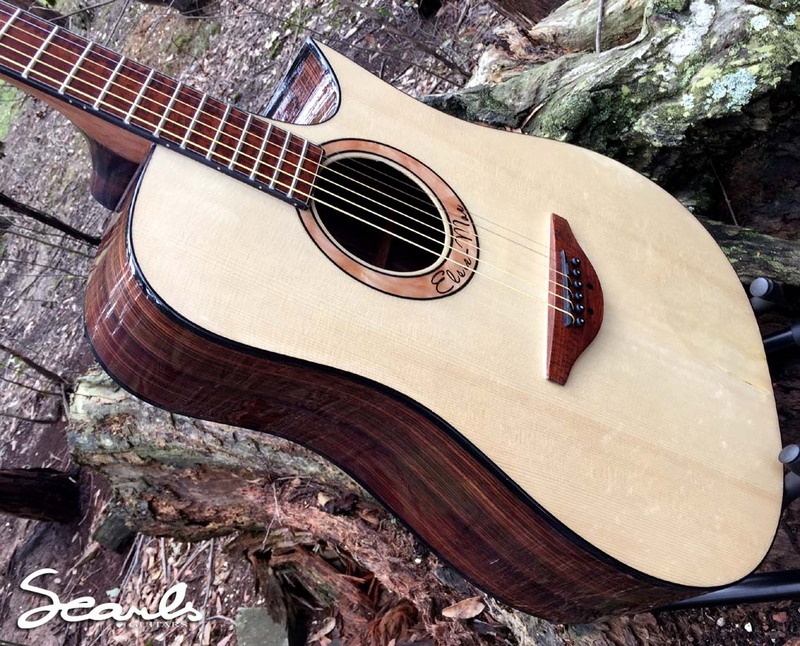 All Acoustic builds are a classic six string dreadnought shape featuring our 3 aside headstock and a 2k gloss, polished finish. 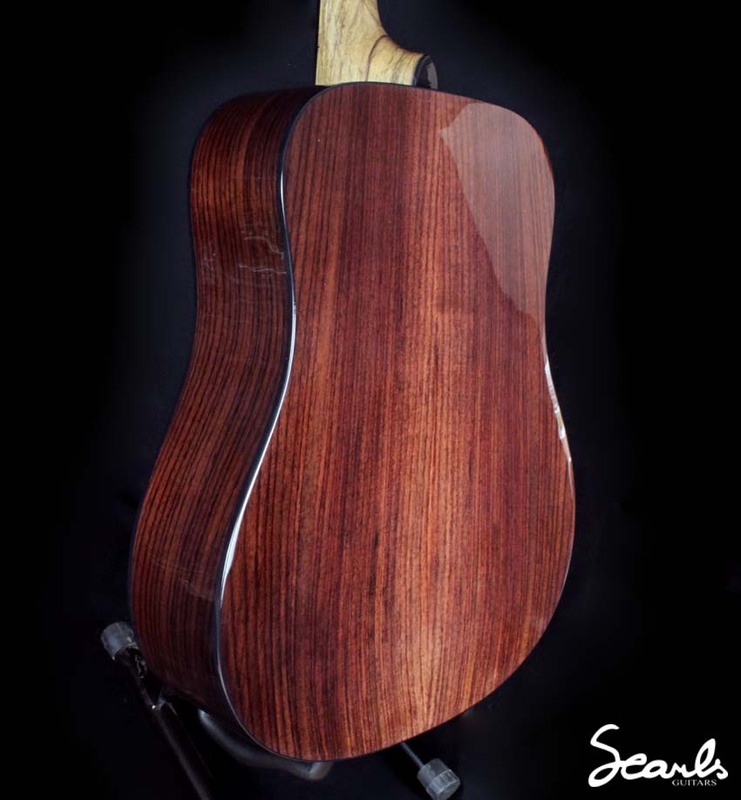 Mahogany is used for our back bracing, side bracing and linings, as well as the front block, tail block and fingerboard support. 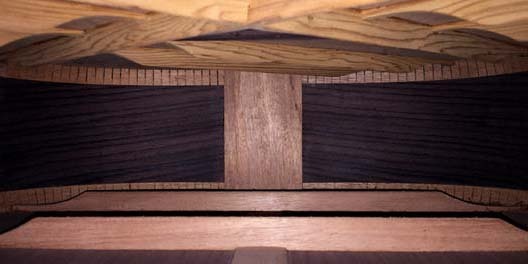 Top Bracing is a variation of the X style and timber is matched to the top selection which is Western Red Cedar by default. 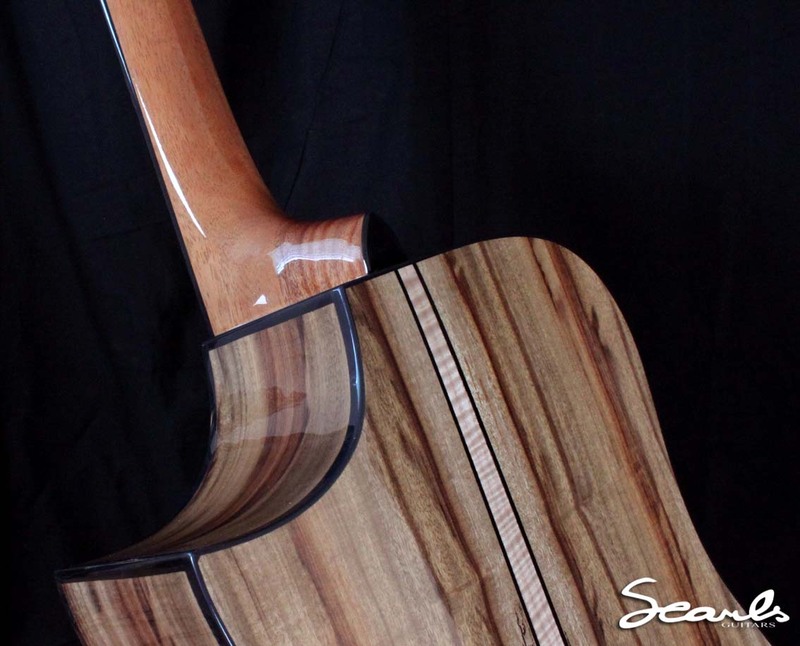 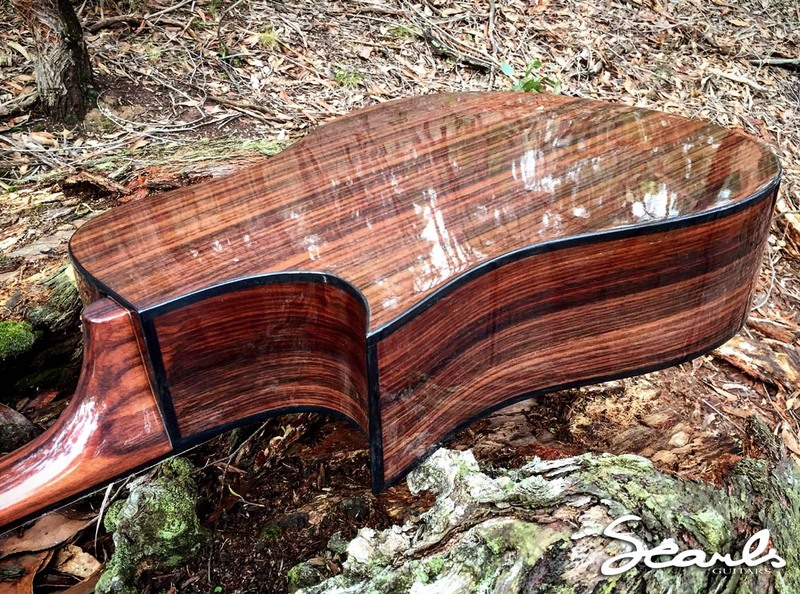 Bridge Plates are made from Indian Rosewood. 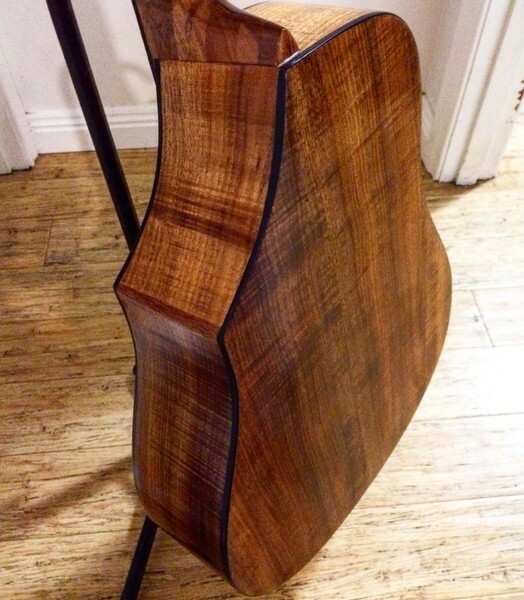 Both top and back feature a modern radius which combines the old style of building with a modern era of design. 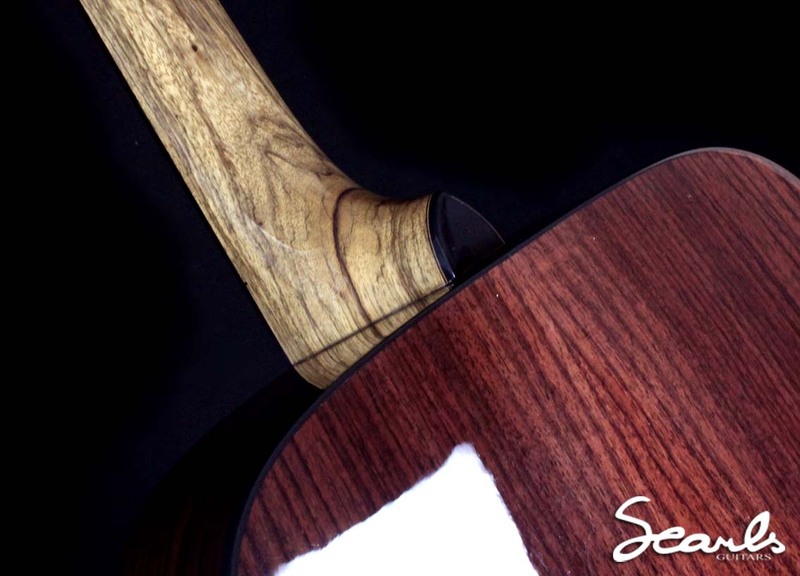 A modern two way truss rod enables the adjustment of relief in the neck which meets the body at the 14th fret. 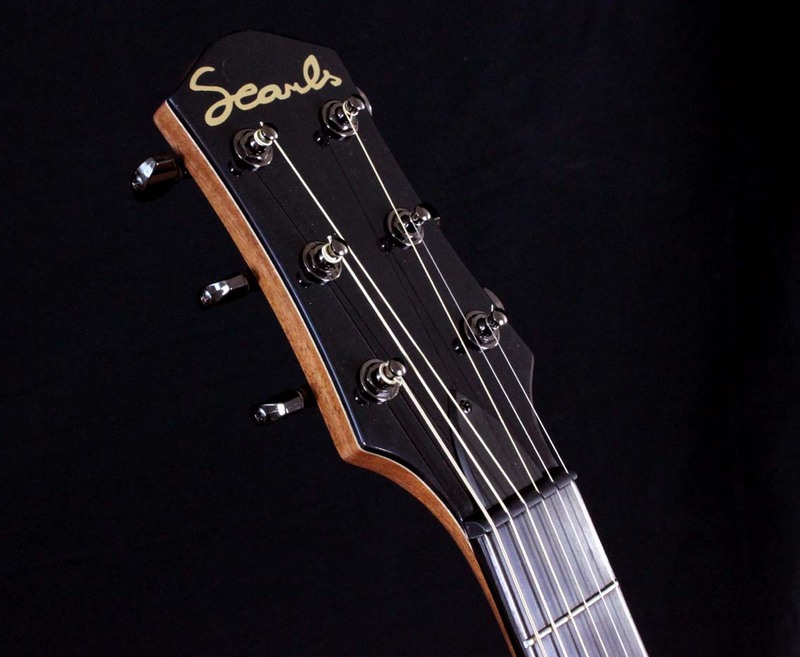 Tusq nut, saddle and bridge pins are used. 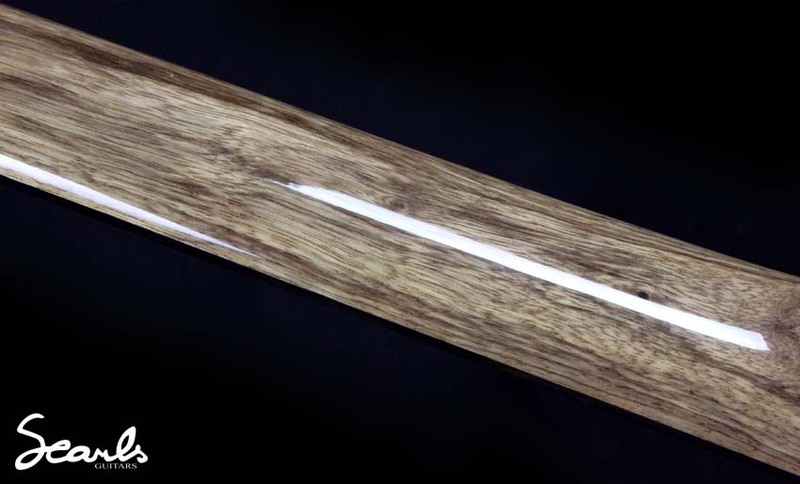 Tusq is a synthetic bone alternative which delivers a rich tone, crystal clear bell like high end with big open lows and a significant increase in harmonic content and harmonic sustain. 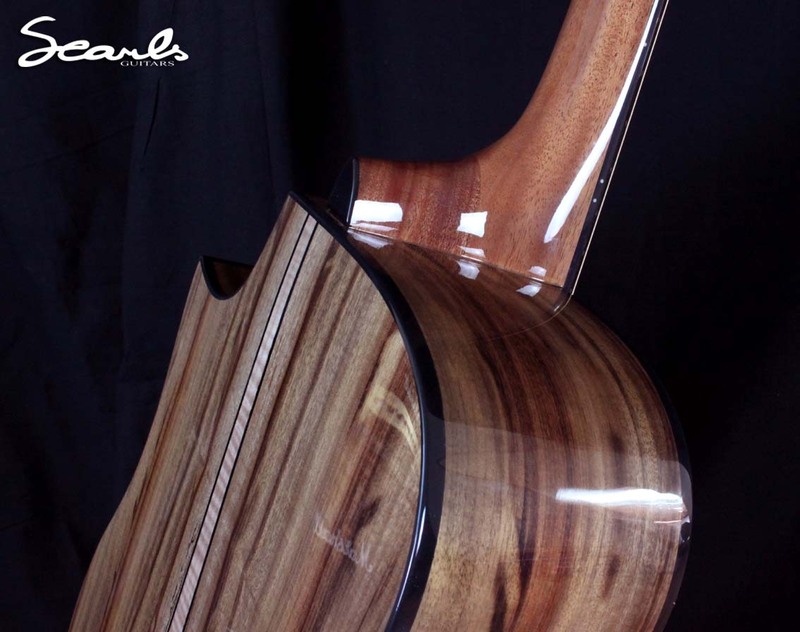 Increased harmonics equals more richness and character in your tone. 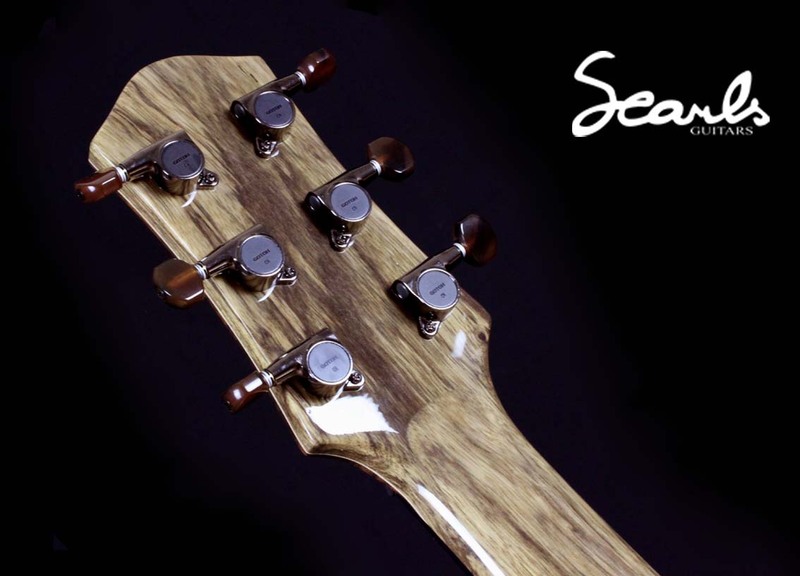 Sounds like voodoo, but we believe it! 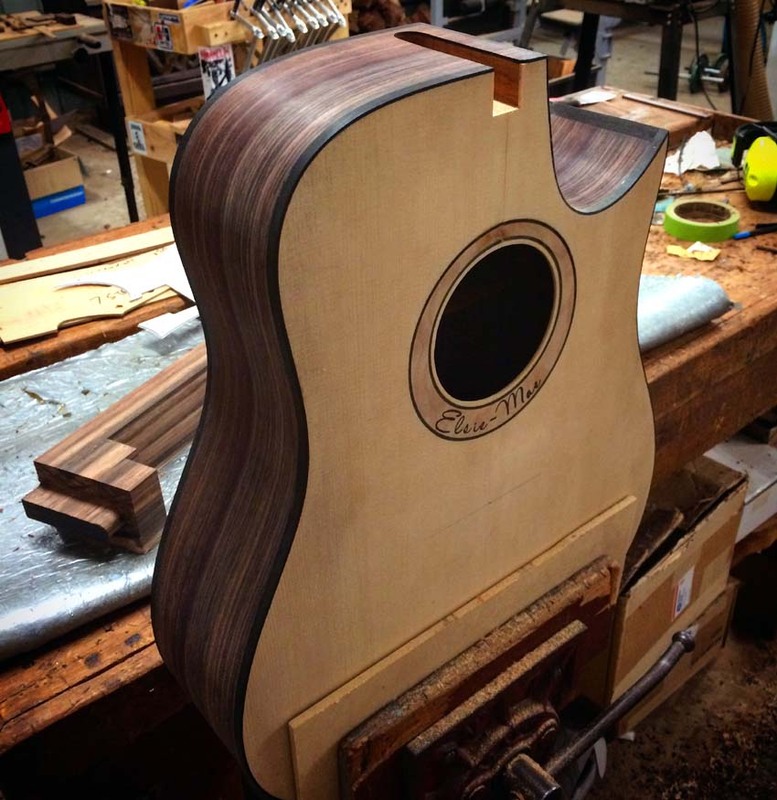 An internal K&K pickup is installed in each guitar.